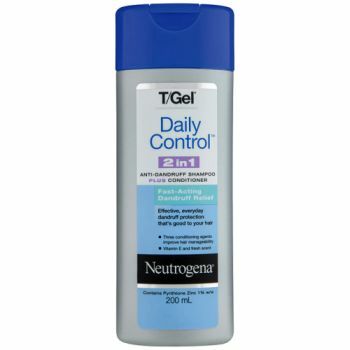 Neutrogena® T/Gel Daily Control™ 2 in 1 Anti-Dandruff Shampoo PLUS Conditioner starts working immediately to give fast, effective dandruff relief, that's good to your hair. Helps relieve scalp itching, flaking and dryness. Proven 2 in 1 formula contains three conditioning agents and Vitamin E to promote healthy-looking, soft, manageable hair.